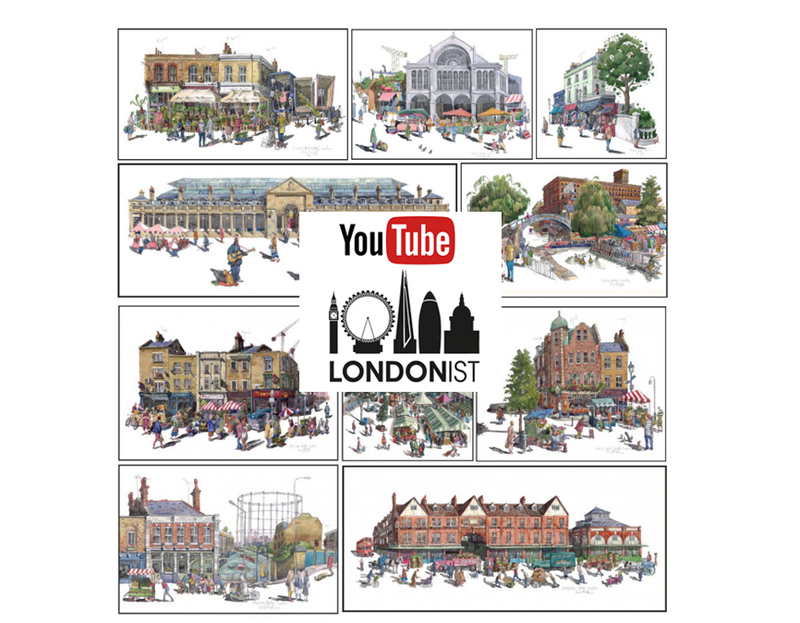 The online London tourist site ‘The Londonist’ contacted me and asked if they could do a feature on some of my London paintings. They were particularly keen on my London street market scenes. Naturally, I was happy to oblige. Once the article was done, they decided to do a video featuring a few of the paintings along with quotes from the accompanying blogs. They kindly gave me a copy of the video which you can see here. Enjoy! I will be doing videos regularly so please do subscribe, and add the odd ‘like’ too if you’re keen. Oh, I will do that cost for you later this week! Promise!